Uganda is one of the countries with minimal internet freedom. The Ugandan government conducts intensive internet surveillance that has seen many people arrested and charged for criticizing the president, Yoweri Museveni. In April 2017, the Uganda Communications Bill was amended so that supervision of communications could be moved from parliament and give the government the authority to make any decisions. This has been followed by what can only be termed as irrational and inhumane treatment of government-critical netizens and politicians. Ugandans can no longer share anything they feel like on social media. Bloggers, activists, and politicians who post content criticizing the government on social media are usually arrested, beaten up, and put in custody. One of the highlight cases was the beating up of vocal Ugandan MP Bobi Wine, with protests which only led to more violence from the police following. Even with a fake account, the Ugandan government tracks down your activities through ISPs using your IP address. To escape such surveillance, your best bet is using a VPN. On July 1st 2018, the Ugandan government introduced a law that forces mobile users to pay a daily tax in order to use social media networks like Twitter, Facebook, Instagram, and Skype. This move has been implemented through the ISPs in the country, and users have to pay the fee through the various companies’ mobile payment methods. Though UGX 200 ($0.05) may seem like a small amount, this is still another move by the government to minimize the use of social media in the country. The State Minister for Finance stated that tax increases were meant to help the country pay off its growing national debt, but the President had pushed for the changes saying that social media encourages gossip. If you are a Ugandan and you want to circumvent these restrictive measures, you surely need a VPN. A VPN works by encrypting your internet traffic and then sending it over to a VPN server of your choice. The new VPN server masks your Ugandan IP address and gives you one belonging to the country that you’ve connected to. Due to the encryption, your ISP can’t make sense of what you are doing online, as they can only see some garbled mess. The fact that you get a new IP address also means that the ISP or government can’t profile you or track your online activities since you are accessing the internet through a different server. By connecting to a server in a different country, you will also have circumvented the social media tax enacted by Ugandan ISPs. While some premium VPNs give you options for servers in countries near Uganda, free VPNs usually have limited servers. On average, you’ll be allowed to use only about 4 servers, and most of these servers are usually crowded with other users. Free VPNs usually have low speeds since the servers are limited and bunged. There are also speed caps placed on free users in order to preserve resources as well as to entice you to go for the paid plans of the VPN. Premium VPNs also try to offer you the best speeds. Free VPNs always limit the amount of data you can transfer over the network. Most of these VPNs offer data as little as 500 MB per month, and you have to wait till the next month if you exhaust yours. Free VPNs don’t have the capacity to implement quality privacy and security features. Some of them end up leaking your personally identifiable information, and others don’t even encrypt your data with fool-proof technology standards. We highly recommend a Paid VPN over a Free VPN. Check here the best Premium VPN for Uganda. Going for a free VPN for Uganda is a little riskier than paying for a premium VPN, but there are still some good free VPNs you can download. 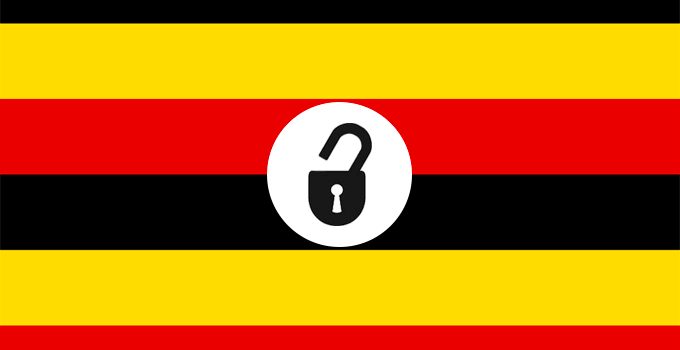 Here’s a roundup of the best free VPN for Uganda. Hotspot Shield is a well know VPN name, and they have a free option that doesn’t even require you to sign up. The VPN makes it to the top of our list as the best free VPN for Uganda due to its superb speeds, and the fact that they renew your bandwidth allocation daily. The VPN gives you 500 MB every day which may not be much, but it’s sufficient for social media and light browsing. This can’t however be used to overcome geo-restrictions for data-intensive tasks like streaming. You will also not be able to select a server as the app automatically selects a US server for you. We highly recommend a Paid VPN. Check here the best for Uganda. Windscribe is a VPN launched just 3 years ago, but it is already one of the best free VPN services. The VPN has a great balance of privacy, security, and speeds. Windscribe offers some great features even with a free account, and these include an ad-block, Firewall, and P2P support. However, you will be restricted to up to 10 GB a month with the free plan. This is maybe the biggest monthly limit you can get with any free plan, but the servers will be limited to about 10 countries. Windscribe VPN also collects some logs about you since the VPN is based in Canada, a FVEY country. Hide.me VPN is registered in Malaysia, which is a good jurisdiction for a VPN service. The VPN has a free plan, and it promises to keep zero logs even for its free users. What’s more, Hide.me VPN even volunteered to be examined by an independent security analyst, and the VPN was found to be true to its word. However, the free VPN has limitations regarding the number of servers you can use. Servers are only available in 3 countries; Canada, Netherlands, and Singapore. The bandwidth is also capped at 2 GB per month, with speeds of at least 3 Mbps. On the brighter side, the VPN has a kill switch feature, multi-lingual interface, multiple protocols, and supports P2P. While the above best free VPN for Uganda options can serve you well, paid VPNs give you the ultimate VPN experience and top-notch services. If you feel like you can spend a few bucks on a quality VPN service, then below are your best options. Hack: You can also use the VPNs for free thanks to the money-back guarantee periods they offer. We have tested these promises on both VPNs, and they are true to their word. CyberGhost VPN is a top VPN service and the best VPN for Uganda. The VPN is registered in Romania, a friendly jurisdiction, and it doesn’t keep any logs. This is a good privacy move, and combined with the AES 256-bit encryption provided by the VPN, it ensures solid privacy and security. 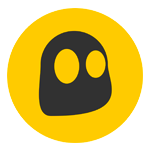 CyberGhost has the best VPN client you can get in terms of simplicity and usability, making it user-friendly to novice users. The VPN is very well organized and it also has some advanced features like an ad blocker and a kill switch. CyberGhost has a physical server in Kenya, Uganda’s, immediate neighbour, and so you’ll be guaranteed to get the best speeds. The VPN allows up to 7 simultaneous connections, and so you can share one account with your whole family. You will have a 45-day money guarantee period where you can still get your money back in case you are not satisfied with the service. ExpressVPN is your second best option for a Ugandan VPN. The VPN also has a physical server in Kenya, and it has made a name for itself with its super-fast speeds. ExpressVPN is registered in the British Virgin Islands, which is beyond the reach of the invasive UK privacy laws. Though the VPN doesn’t have really outstanding features, it has a superb combination of functionality, efficiency, and reliability. The VPN is also easy to use but unlike CyberGhost, it only allows simultaneous connection of up to three devices. Nevertheless, ExpressVPN gives you top of the class VPN experience. You will have a 30-day money-back guarantee with any plan. Here at thebestfreeVPN, we believe that the internet should be private and free. No Ugandan, tourist or expatriate needs to be subject to the harsh government rules in the country when you can get a free VPN. Even better, with a paid VPN, you won’t have to worry about your privacy, social media taxes, the strict government surveillance, and or even internet censorship!